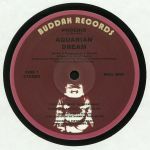 Review: Back in the late '70s and early '80s, Aquarian Dream's "Phoenix" was something of an anthem on the UK's soul all-dayer scene. 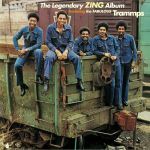 While ostensibly a disco record, the band's jazz-funk roots ensured that it was particularly popular with serious dancers, particularly those who headed for the jazz room rather than the main dancefloor. The Norman Connors-produced cut remains something of a must-have for disco DJs who like their grooves to come with a fair dollop of instrumental solos. This timely re-press also includes the even wilder "East 6th Street" - originally included on the 1979 UK re-issue - which features Aquarian Dream band-members trading solos over a killer disco-funk groove. Review: Absolute funk fire from Gladys and co; "Love Is Always On Your Mind" is arguably one of their most overlooked jams in history. Heavily swung and quite gritty in comparison to their other work, it's an instant floor display lavished with stacks of energy and groove. 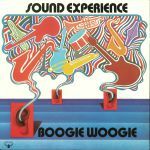 Flip for the heavily referenced, sampled and edited 1980 classic "Bourgie Bourgie". Silky soul disco at its finest. Another white hot reissue success from Buddah.